I recently had the opportunity to meet with and talk to Victor Cembellin, Senior MAC Cosmetics Pro Artist with 15 years experience in the industry and makeup artist to the stars. You know how intimidating it was to talk to him?! 😛 Fortunately, he is a darling and so easy to talk to even though he probably had to answer the same question many times posed by other (more serious) journalists! 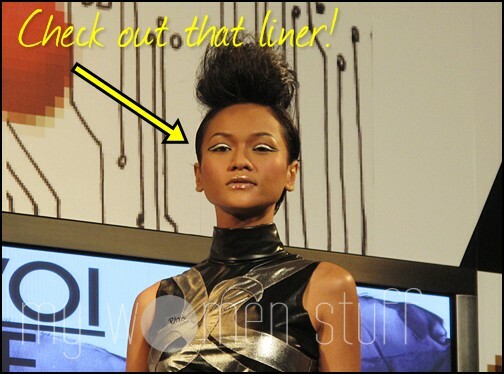 What I’d like to do is to tell you what Fall/Autumn 2010 trends MAC has predicted and tips on how we, women of warm tropical Malaysia/Asia can apply these trends while sharing some more makeup tips with you further down. Ready? Read on! Focus is on the eyes with strong defined eyeliner. MAC has an upcoming SuperSlick eyeliner with a velvet tip coming out with Fabulous Felines that I’m eyeing. There are a few colours but the silver is amazing! Shiny, strong and pigmented with an almost patent leather sheen. Victor’s Tip: You can keep your eyes “blank” with just a neutral colour but define it with strong eyeliner for emphasis. Try playing with eyeliner looks e.g. Silver eyeliner sandwiched between black eyeliner. Its interesting. Not quite for everyday, but interesting nonetheless. The look on the runways had a haunting quality to them. Women with a story to tell on their faces. Skin is highlighted and eye makeup was strong. The upcoming eyeshadows of Venomous Villains and Rodarte will see this trend run up till next year. Look out also for the eyeshadow quad in Burmese Beauty in the Fabulous Felines collection and the mineralize eyeshadows like My Dark Magic from Venomous Villains – Victor’s fave items from those 2 collections! Victor’s Tip: For women living where its Summer all year round, going all out smokey may not be something every one likes. You can keep your light spring and summer colours on the eyes and just add on a touch of Fall colours like deep brown, plum or black at the edges of your eyes, and then line with eyeliner. It transitions your look into a Fall look without going all out smokey. Foundation takes on an “almost there” luxurious quality with a sheen to the skin made possible by the use of the upcoming beauty powders. Apply and blend in your foundation so you do not look like you are wearing a mask, but have your natural skin… just better. Watch out for the launch of the MAC Prolongwear Foundation next year. It offers 15 hours of wear and is water and sweat resistent and won’t rub off. Interesting! 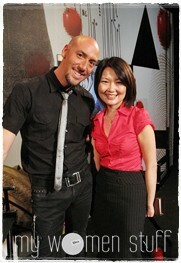 Victor’s Tip: In a hot humid climate like that in Malaysia, women are going to love the ProLongWear foundation. When applying contour powders to your face, do not forget the highlighter. Many women use bronzer to create contours but they forget their highlighters which give a more seamless application to your makeup without making it look too stark or harsh. Do not wait to blot and touch up. If you wait till you are an oil slick or until your makeup is all melted away before you blot and touch up, its too late. 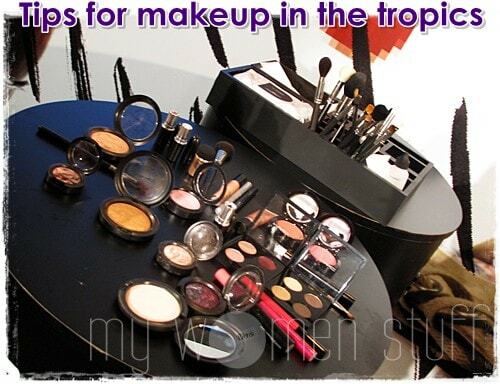 What you should do is blot and touch up as you go along. Waiting till you get back from lunch might be too late. So remember that prevention is better than cure because your only cure might be to remove and start over. Use a mattifying product like MAC Prep + Prime Skin Refined Zone Victor swears by this one for TV makeup where shine is not flattering at all! This product helps control shine and mattifies the skin so you have less to wrestle with. Use a water resistent and longwearing foundation like the upcoming MAC Prolongwear foundation. Victor’s very excited about this product which seems to be made just for women living in hot humid climates i.e us! MAC Prep + Prime Skin Refined Zone – mattifies and is perfect for controlling shine on TV – hey imagine what it can do for real life! MAC Prolongwear Foundation – 15 hours of foundation that adheres to your skin like second skin. Intriguing! MAC SuperSlick Liquid Eyeliner – Strong, dark, pigmented colour with an almost patent leather finish that lasts. OOOOO love this post….. very useful info…. i can’t wait for the Disney Venomous Villains collection and the 15 hours foundation as i use make from morning till night hence it’s always melt and become cakey…. 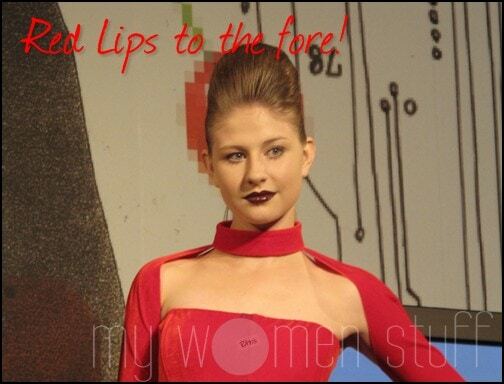 I always scared to wear red lipstick as i had a bad experienced way way back…. the tips that Victor gave, boost up my confident to try red!!!! Oh gosh this post is really really useful!!! Thanks Paris for this lovely post and sharing the info with us!!! Ohh i loveeeeee this entry so much! Anyway, i just bought a MAC limited edition eye shadows from their Groove collection but i’m not sure how to wear it! LOL. I saw the Fab Feline stuff on Muse’s blog, and fell in love with all the eyeliners (especially the greens) as well as the Russian Blue ES (Palace Pedigreed Quad) and the Burmese Beauty (Burmese Beauty Quad). High Five! I’m more of a Fall girl too. I do smokey looks nearly everyday! The Burmese Beauty quad looks good. There’s this silvery taupe shade that’s gorgeous! Ya its only coming out next year I’m told. Will update if I get news k? hey, you have moved into the kingdom of MAC. Congrats on meeting a famous makeup artist. though I am not boycotting MAC like some people, I am not really into MAC either. However, I enjoyed reading this post. You looked great too.